Rhyolite is an igneous rock, which is one of the three main rock types, aside from sedimentary and metamorphic rock. It's also an extrusive volcanic rock, which is formed on the surface through the cooling and solidification of magma or lava from a volcano or fissure in the earth. But rhyolite is also designated as felsic because it's enriched in lighter elements, namely silicon dioxide. Rhyolite has a composition very similar to plutonic granite, but has a much smaller grain size, and may have any texture, from glassy to aphanitic (mineral crystals invisible to the naked eye) to porphyritic (mineral crystals visible). 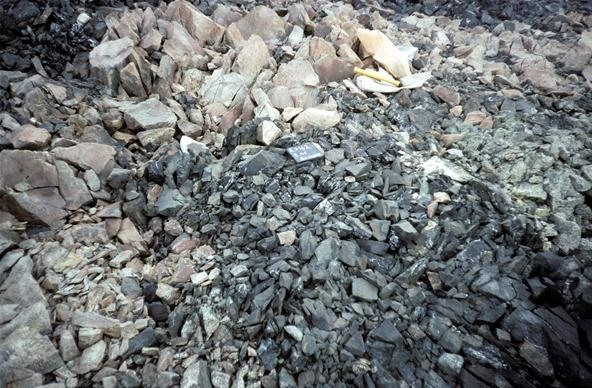 Though rhyolite is much less common than granite, large amounts can be found in Yellowstone Park and in a quarry site in Adams County, Pennsylvania, which is listed on the National Register of Historic Places for its archaeological significance. A folded rhyolite dyke mixed with gabbro (mafic rock, not felsic) on Mt. Sullivan, Antarctica. 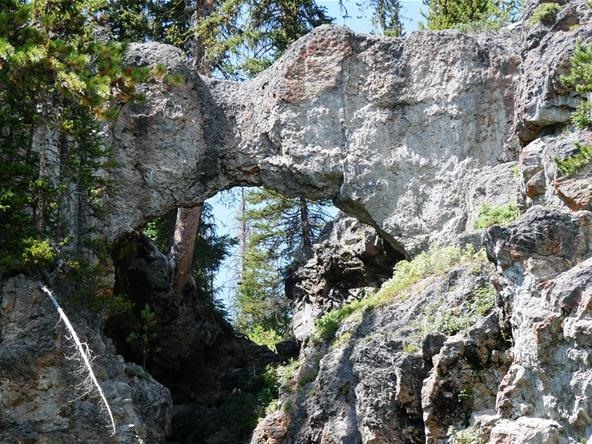 Natural Bridge in Yellowstone Park, made of rhyolite rock. 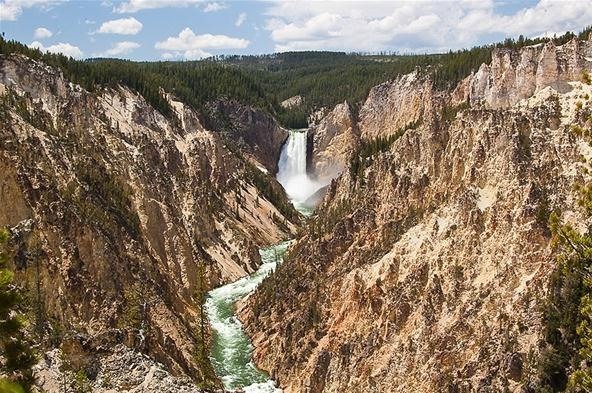 Lower Yellowstone Falls descend into a 590,000 year old canyon rhyolite lava flow. 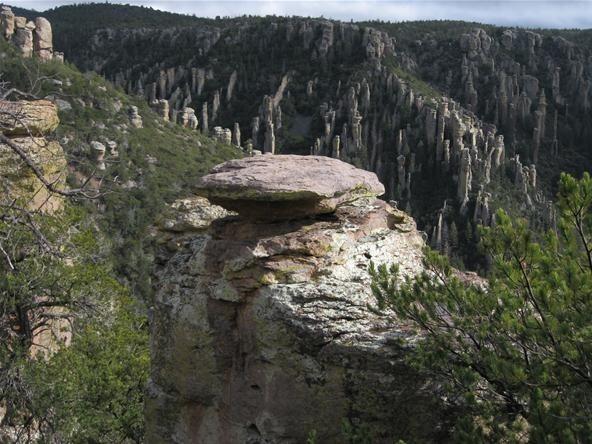 Chiricahua National Monument in Arizona, a forest of rock spires made of hardened rhyolite tuffs.